Gabriel Kron was as self-directed as they come. As a young engineering student at Michigan State University, he divided his week between school and what he truly wanted to learn. For the first 4 days of the week, he attended classes and course work but from Friday noon onward, Kron focused on his own learning plan. Upon graduation, Kron conceived his post-grad study; a trip around the world with an emphasis on walking and mathematical thinking. He packed a differential equations text book and embarked on an adventure. Kron wanted new ways to think of machines as a mathematical system. Upon returning to the United States, Kron wrote his first paper entitled “Generalized Theory of Electrical Machinery” (1930) and started down a theoretical path few engineers will ever venture. He believed that all electric machines were only special cases of a “generalized machine”, and the understanding of that general machine would lead to the invention of new types. In 1935, Gabriel Kron won the Montefiore Prize from the the University of Liege in Belgium for his 1934 paper, “Non-Riemannian Dynamics of Rotating Electrical Machinery” and his noteriety began. Some scoffed at his notions but Kron was ultimately vindicated as his ideas are widely used today. He invented Diakoptics and one could say Kron was ahead of his time. More open-minded professionals were impressed with the man and he landed a job with General Electric in 1936, working most of his career (1936-1966) as a creative problem-solver. 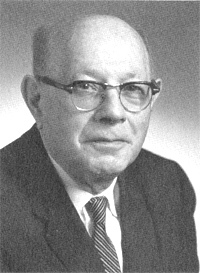 Gabriel Kron would publish over 100 papers and 7 books during his lifetime. His influence and innovation can still be felt today. (See page 25, Secrets of the Unified Field by Joseph Farrell, 2008 Adventures Unlimited Press). According to researcher Joseph Farrell, engineers sometimes observe anomalies in large power generating stations, where multiple rotating machines often produce unexpected output. Farrell says Kron’s 1934 paper helps to explain these anomalies in terms of higher dimensional theories such as the discarded 1928 Unified Field Theory of Albert Einstein. (Farrell discusses this in an interview: Secrets of the Unified Field Interview). Farrell also suggests that Kron’s work might have also attracted the attention of Nazi scientists. 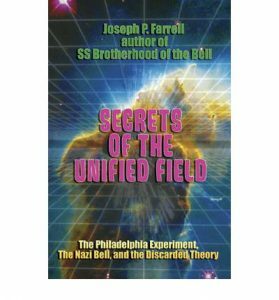 In his book, “Secrets of the Unified Field” we learn of alleged military research and development in both Germany and the United States, such as the Nazi Bell and the infamous Philadelphia Experiment. Though Einstein’s Unified Field Theory of 1928 failed in the eyes of fellow physicists it might have been locally engineerable so that truly bizarre weapons and machinery could be built. To summarize, Farrell implies the power output of the Nazi Bell could have made the allies atomic bomb look like a kitchen match! Farrell thinks the Nazis would have known of Kron’s prize paper. After Theodor Kaluza wrote about the possibility of a higher fifth dimension unifying the laws of physics, Nazi scientists might have been intrigued by the idea of a “multi-dimensional rotating machine” and how it could be weaponized for their nefarious ends. According to alternative researcher Igor Witkowski, the Germans built a top secret and bizarre electric machine during World War Two called “the Bell” ( also known as “Project Chronos” – Chronos is the personification of Time in pre-Socratic philosophy). The device was hidden beneath the Earth in a bunker and consisted of two counter-rotating drums filled with a “red mercury” or special substance code-named “Xerum 525”. The counter-rotation produced “torsion” fields and many of its researchers reported strange headaches and illness. Crystals would form in animal tissue and plants would be reduced to a strange goo after exposure to the machine. The twisting together of fields (or torsion) caused by the two counter-rotating drums are thought to have caused pleats in space-time allowing for all kinds of interdimensional weirdness; perhaps an incredible release of energy, time warps and Lord knows what else! “Learn to control and manipulate torsion in the Unified Field Theory context and one has learned to control and manipulate gravity, time, electro-magneticism, and space itself. One can manipulate them for energy, for propulsion, and of course, for a powerful horrifying weapon of mass destruction” (Ibid, Farrell, page 288). I discovered that Kron learned English by studying H.G. Wells science fiction (the author of Food of the Gods, The Time Machine, War of the Worlds, etc, etc). Maybe, he pictured Wells’ machine creating paranormal vortices through time with rotating machinery. A model of HG Wells Time Machine as it appears in the excellent 1960 film. The disc at the back is part of the fictional rotating machinery. Kron also told his friend Edwin K Tolan that “he was sure that nature had provided short-cuts for travel between planets and the scientists task was to find those hidden short-cuts”. (Quoted from foreword written by Edwin K Tolan of book entitled “Gabriel Kron and Systems Theory”, published by Union College Press, Schenectady, New York, 1973, edited by H.H. Happ). Powerful authorities might be hiding the secret to free energy for military purposes or to protect their investments in oil. Maybe we are paying a “power bill” for no good reason! “I say that the crystal computer constituted a prototype because I believe this work was successfully accomplished in all its theoretical aspects long before his death, for Gabe showed me what he considered to be proof of the superiority of his new instrument. By this time, however, something else entered his mind. I suspect that with the theoretical background of his work in developing the crystal computer it was not a big jump for the mind of Kron to begin thinking of the universe itself as a crystal. I also suspect that what he was working on when he died was a general theory applicable to the universe as whole system. After all the universe is a complex phenomenon in which many heterogeneous activities take place simultaneously. Perhaps Gabe had more than a vague intuition about short-cuts for interplanetary travel”. (Quoted from foreword written by Edwin K Tolan of book entitled “Gabriel Kron and Systems Theory”, published by Union College Press, Schenectady, New York, 1973, edited by H.H. Happ). Later in life (the 1960s), Kron talked of his idea for a “Crystal Computer” and how it might be his “crowning achievement”. I wonder if the crystal computer was shaped like a human skull! (Nod and a wink… the “Crystal Skull” is mentioned in an earlier post on FW Mitchell-Hedges. See Mitchell-Hedges and the Quest for Danger). A friend of Kron’s, however, Dr. Edwin Tolan, mentions they jokingly referred to the machine as a “vest pocket computer”. It sounds like a smart phone but a lot smarter! As a young man travelling around the world, Gabriel Kron visited some of the greatest miracles in engineering such as the Taj Mahal and the pyramids of Giza. Such elegant structures likely inspired him to seek beauty in his mathematical thinking. Kron’s long walks might have ruined a pair of perfectly good shoes but the ideas developed along the way opened new doors. Some criticized his unusual ideas (with debates raging over Kron in the 1950s especially) but he contributed to the field and inspired others to ideas applicable in the computer age. Many of the electric marvels we witness or take for granted today are thanks to engineers and physicists like Kron who remain largely unknown. Buried amongst their papers are some truly fantastic ideas! It seems Gabriel Kron beat a path to our ultra-tech future.